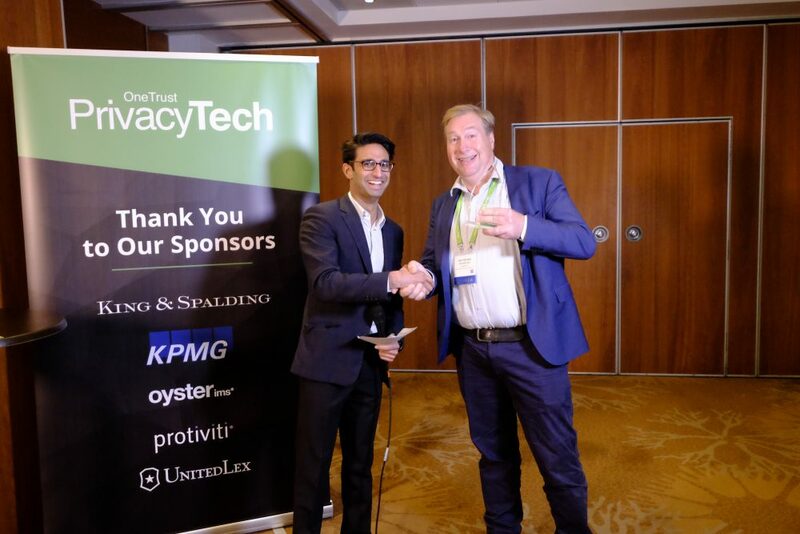 Earlier this month we kicked off our first ever global user conference, OneTrust PrivacyTECH. Over 300 privacy professionals from across the globe came together to discuss the latest innovations in privacy technology. Attendees experienced three action-packed days of keynotes, sessions and the opportunity to achieve their OneTrust certification. At the event we took the time to highlight some of OneTrust’s customers through our awards program. The award for Outstanding Global Privacy Program went to Johnson & Johnson. Johnson & Johnson’s OneTrust implementation spanned 500 business entities across multiple time zones. They worked to implement multiple assessments across use cases of clinical trials DPIAs to an expansive database of applications and processing activities. As a result, they were awarded the Outstanding Global Privacy Program for this incredible effort to operationalize their privacy efforts across multiple jurisdictions. The award for Outstanding Data Mapping Implementation went to Tempur Sealy! Privacy professionals know that data mapping can be as complex as it is important, which is why Tempur Sealy was so deserving of this award as they mapped hundreds of processing activities and assets. They took an innovative approach, defining a central list of processing activities and then duplicated these activities across the geographical organization with different owners for different organizations which led to a consistent, scalable inventory. They also stuck very closely to the OneTrust standard data mapping templates, making their program both simple and effective. The Outstanding External Champion of GDPR went to Mailchimp! Mailchimp not only had to become GDPR compliant internally but also championed GDPR to their customers. The growth and success of its members’ businesses depends on their ability to maintain the trust of their customers and contacts, and Mailchimp used GDPR as a way to build trust with their customers and promote trust through their members’ business as well. The award for Outstanding Privacy Technology Professional went to Wouter-Bas van der Vegt from Randstad! Randstad’s privacy team, led by Wouter-Bas, championed GDPR and technology through the more than 25 countries in which Randstad operates. The team doesn’t limit themselves just to privacy, they work to make sure all the functional units in the organization work together to meet their goals from both a security and privacy perspective. Wouter-Bas was also a keynote speaker at PrivacyTech, discussing how Randstad leverages OneTrust for assessment automation, data mapping and cookies. 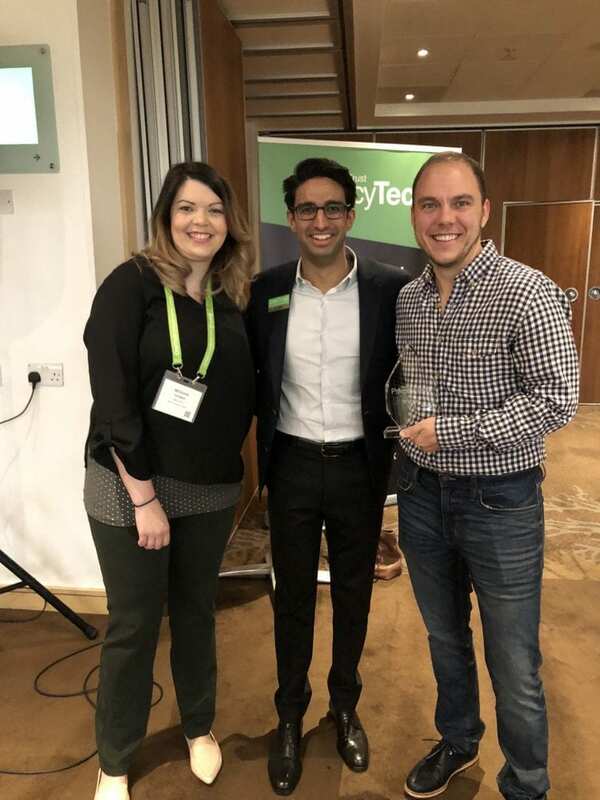 Congrats to OneTrust’s customers and their accolades! For more information, visit our customer page to see case studies of OneTrust Champions and how they have leveraged OneTrust in their privacy programs.